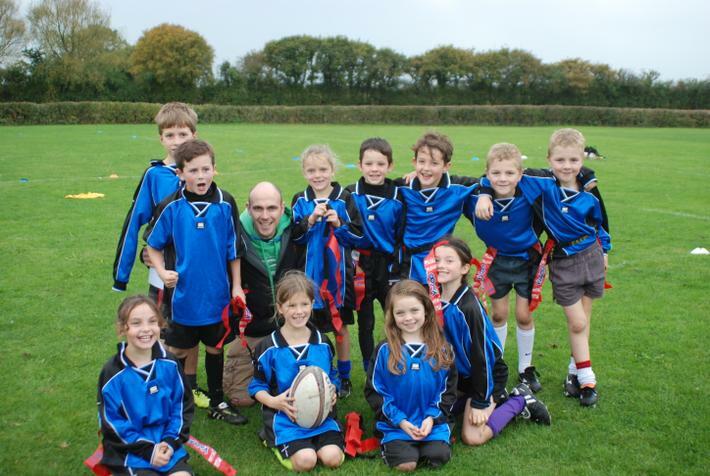 On Thursday 16th October some of the Cheddar Valley First Schools took part in a tag rugby tournament organised and hosted by Hugh Sexey Middle School. Mark First School were very proud of the boys and girls from Years 3 and 4 who won the tournament finishing as undefeated champions. The team showed great team spirit as well as some exciting individual talent to win the overall tournament.